WAT CHANG under supervision of LP Prasert, an abbot proudly presents the holy collection Roon Patisangkhorn Ubosod Wat Chang in order to make money to restore the Buddhist chapel in the temple. Furthermore, some amulets are made from more than 5,000 kinds of plants kindly given by LP ThongGleung, an abbot of Wat Chedi Hoi, Pathumthani province, holy powder, holy water from 108 temples and Phong Ya Jindamanee (holy herb powder) from Wat Klang Bang Kaew, Nakhon Pathom province. Note: The real amulets may be different from pictures. They are in good condition from temple. 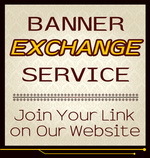 We have Katha for every amulet in text and MP3 and instructions at Bonus File. This Rian Phra In Song Chang will bring safety, good luck, success and prosperity to owner. This imprint Indra riding 3-headed elephant named Erawan is popular among collectors. This Rian Phaya Tow Pokasarp will make owner wealthy and do business very well. In many cultures for example China, a tortoise is believed as a holy animal because it stays under a hard shell, can dive and lives long. Tortoise also relates to Buddha’s story that Buddha was once born as a tortoise. 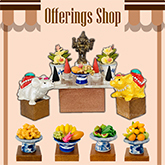 In Thailand, you can see tortoise amulets or sculptures placed in houses and establishments especially a shop mostly wished for good luck and successful business. Narai or Narayana is an avatar of Vishnu, the great Hindu god. This Rian Narai Song Krut with imprint of Narayana riding Garuda is popular among collectors. Thai people believe Rian Narai Song Krut will help and protect owner from danger, bad luck and bad things as well as will bring charisma, wealth, success and glory. This Rian Phut Sorn has imprint of Buddha and LP Prasert who is an abbot of Wat Chang on the front and imprint of Yant (magical symbol) and elephant on the back. LP Prasert aged 77 (2015 C.E.) who is an abbot of Wat Chang, Ayutthaya province is a respectable monk. He is a disciple of LP Tarb Wat Makhamriang, Saraburi province and a friend of LP Ruay Wat Tako and LP Sao Wat Donyanang both in Ayutthaya province. This Rian Phut Sorn will protect owner from harm and bad things and help owner able to get through difficulties and obstacles. Buddha power will protect a person who has faith from harm and bad things and help him able to get through difficulties and obstacles. This Phra PidTa is made from more than 5,000 kinds of plants kindly given by LP ThongGleung, an abbot of Wat Chedi Hoi, Pathumthani province, holy powder, holy water from 108 temples and filled with Phong Ya Jindamanee (holy herb powder) from Wat Klang Bang Kaew, Nakhon Pathom province. This Phra PidTa is made from more than 5,000 kinds of plants kindly given by LP ThongGleung, an abbot of Wat Chedi Hoi, Pathumthani province, holy powder and holy water from 108 temples. This LP Prasert amulet will help and protect owner from harm and bad things. This Phra Phut Nang Bua with imprint of Buddha sitting on lotus is made of Phong Ya Jindamanee (holy herb powder) from Wat Klang Bang Kaew, Nakhon Pathom province and embedded with a gold Takrut. This Phra Phut Nang Bua with imprint of Buddha sitting on lotus is made of Phong Ya Jindamanee (holy herb powder) from Wat Klang Bang Kaew, Nakhon Pathom province and embedded with a silver Takrut. This ball is made of Phong Ya Jindamanee (holy herb powder) from Wat Klang Bang Kaew, Nakhon Pathom province. Having this holy ball will make you safe from harm and bad things as well as bring you good luck and windfalls. Description: This is a sacred coconut shell dipper written with Yant by LP Prasert, abbot of Wat Chang, Ayutthaya province. In the scoop has a lucky coin in a gold bag with a good meaning to attract more money and wealth. So it is good to have this item in your house or shop. This Luangpho Prasert amulet is one of Roon Patisangkhorn Ubosod Wat Chang proudly presented by WAT CHANG under supervision of LP Prasert, an abbot in order to make money to restore the Buddhist chapel in the temple. This medal “Rian Phra In Song Chang” (Indra on Erawan Elephant) is one of Roon Patisangkhorn Ubosod Wat Chang proudly presented by WAT CHANG under supervision of LP Prasert, an abbot in order to make money to restore the Buddhist chapel in the temple. INDRA is the king of all gods and the ruler of the heaven. Indra is the god of thunder and rain and a great warrior, a symbol of courage and strength. He leads the Deva (the gods who form and maintain Heaven) and the elements. As the god of war, he is also regarded as one of the Guardians of the directions, representing the east. People believe that Lord Indra builds the world (humans, creatures and nature), makes the world go on and brings plenty to the land. **Don't miss because there are only three pieces left from temple. Material: This amulet is made of holy powder mixed with holy powder of LP Tim Wat Phra Khow, a famous guru monk of Ayutthaya Province. 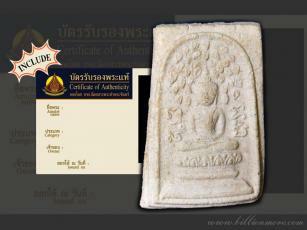 Power: Phra Khun Paen, Buddha amulet in pentagon is very well-known in Thailand. Phra Khun Paen is believed to hold power of Protection, Wealth and Metta Maha Niyom (gaining people kindness). Anyway, Buddha’s grace can destroy evil powers and protect the believers from harm and dangers. Ceremony: This amulet was blessed by LP Prasert, abbot of Wat Chang and exclusively blessed by famous guru monks of Ayutthaya Province: LP Ruay Wat Tako and LP Pian Wat GernGaTin. "I received it today. Perfect."